The first educational psychologist (EP) was appointed in Britain in 1913; it is therefore timely for the profession to reflect on its roots and consider how far it has come in the intervening 100 years. 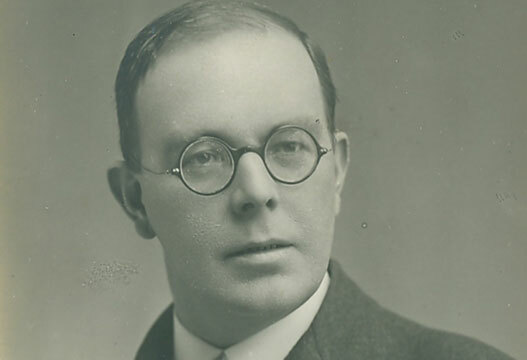 Cyril Burt (later Sir Cyril) was appointed as an educational psychologist within London County Council not long after the emergence of the new discipline of psychology. This article traces the early influences leading to this significant appointment from the core disciplines of psychology and education. A whistle-stop tour of the intervening years then brings us up to date with an overview of the current range of work undertaken and topical issues affecting the profession. Moving from its parent discipline of philosophy, towards the end of the 19th century two developing areas of psychology were becoming established: the experimentalists and the therapists. Both drew inspiration from the application of the scientific method to problems of the mind and both believed they were making discoveries about the brain and how it functioned. Meanwhile a very different development was to establish a new field in which to work. In the second half of the 19th century primary education started becoming both a universal right and obligation in many countries, such as the USA, UK and France. This provided new opportunities to apply existing ideas about the functioning of the brain to the challenges of universal education. By the late 19th century psychology had both a research base and methods for helping people with some kind of mental disorder. The developments that were to follow came from different political initiatives, whereby in several countries access to universal, free education for children was being promoted and advocated. In the USA the state of Massachusetts started a process of compulsory and free education for primary-aged pupils in 1852. Other states followed suit and by the early 20th century all states had similar legislation. In England the 1870 Education Act paved the way for compulsory education for young people from five to 12 years (although a pupil could leave at the age of 10 if a satisfactory standard had been reached). The process was completed by 1880 (although not for all children until 1972 when education was provided for the most severely disabled children by the 1970 Education Act). In France similar legislation was passed in 1882. With the introduction of universal education came new challenges. Children who previously would not have been considered educable were admitted to schools. It was clear that some children had difficulties not manifested by the vast majority of others. Medical practitioners had long been accustomed to diagnosing a wide range of handicapping conditions. It is difficult not to feel some revulsion in the labels used to categorise children at the turn of the 20th century: the terms idiot, imbecile, retarded and feeble-minded were all commonly used to categorise children. Although deemed offensive now, at the time they were used to attempt to discriminate between different types of children having what we now might describe as special needs. Binet observed three key problems with the way that children were allocated to special classes; ignorance on the part of the physician diagnosing the condition, variability in the terms adopted and lack of precision in the description of the symptoms. He described previous methods as medical and pedagogical. The medical approach aimed to diagnose inferior intelligence by analysis of anatomical, physiological and pathological elements. The pedagogical method assessed the knowledge of the child and judged the intelligence from this, but his proposed psychological method used direct measurements and observations to assess intelligence. Hence, Binet and Simon went on to develop a series of tests that, they felt, measured the intelligence of a child at a point in time. These early tests were used to select children for special classes and special education. Whether such children who were moved into specialist provision benefited from specialist support for their learning or whether the tests had been used merely as a means of removing them from the mainstream is unclear. However, this task of selecting particular children for a different educational experience has remained a core activity for educational psychologists to the present day; some would say to the detriment of the development of the profession as a whole. Burt rejected this stance and suggested that there was ‘no single and simple disposition to crime’. He urged that we identify the differences between what is inherited and what is inborn and concluded that it would not be possible to identify a separate race that was responsible for criminal acts. Accordingly, he rejected any notion of the ‘eugenic solution’ in matters relating to humans. an academic rather than when he was practising as a psychologist. From one EP appointed in 1913, we now have over 3000 working in Britain. As noted earlier, some of the tasks undertaken by Burt are still within the current role expectations, but the expansion has been vast. Of particular note is the exponential increase in EPs working to support other professionals, mainly teachers, through consultation and advice. It is possible to analyse the changes that have taken place since those early days using ideas and concepts from activity theory (Leadbetter, 2008), whereby the focus of activities, desired outcomes, rules governing work, tools used, involvement of others and division of labour can be identified and compared across the changing sociocultural and historical contexts. Through such scrutiny, transformations in practices can be observed. The Second World War provided ample opportunity for psychologists to develop their therapeutic and supportive skills as many children were evacuated from their families, resulting in disturbances to family life. Additionally, with fathers away from the home, uncertainty surrounding individual and collective futures existed. In many families, mothers were going out to work for the first time and there were severe pressures on families and children resulting in greater numbers referred for child guidance. for these new groups of children. Numbers of educational psychologists increased, so that a report by UNESCO in 1948, indicates that there were about 70–100 educational psychologists in England and Wales, but many of those were part-time. Although the numbers of educational psychologists increased rapidly through the 1950s and 1960s, the balance of work seems to have been rarely challenged with individual casework predominant. The increase in posts was in part due to the fact that more children were coming within the purview of education, as the 1970 Education Act deemed that children previously labelled educationally sub-normal should now become the responsibility of education departments. To an extent, this group of pupils paved the way for psychologists to begin to employ behavioural principles in their work, something that had not been prevalent up to this point. However, this new approach was necessary in order to design suitable curricula, teaching programmes and behaviour management techniques. Thus pressures relating to expectations from the medical profession shifted, or were perhaps augmented by pressures arising from the new colleagues with whom EPs worked, namely teachers. ‘the great debate’, as it came to be known (Reid, 1976). Other writers since this time have typified the tensions that exist between the push to undertake crisis-driven individualised work with children and the belief that preventative, systemic applications of psychology are more effective; a debate mirrored in many strands of professional psychology to this day. for EPs as the profession gained, for the first time, a statutory function within special needs legislation. This was heralded by many as an important move, in that the status, position and specific skills and knowledge of EPs were recognised for the first time. However, with hindsight other commentators have reflected that it was the beginning of a different type of straitjacket for the profession. The 1981 Education Act introduced a statutory requirement for all children who may have special educational needs to undergo a full assessment by a range of professionals, including, in all cases, an educational psychologist, employed by a local education authority. This resulted in EPs often adjudicating about allocation of scarce resources, providing lengthy assessments and thus leaving little time for more preventative, intervention-based work. As statutory demands on educational psychologists have continued to increase, there has been a continuing determination on the part of EPs to expand their activities beyond working with individual children. This has resulted in the use of a wide range of approaches, including sharing, or, some would say, giving away psychology, through training in schools and other settings (Leadbetter, 2011). a different model of engagement between schools and educational psychologists, and this is characterised by the development of consultation in many EP services. Consultation, particularly with teachers, has grown in popularity as it is seen to offer opportunities for EPs to draw upon a broad range of psychological approaches and to work in a more equal partnership with teachers and others who wish to consult with EPs. Consultation has been defined in many different ways and is implemented in different EP services in Britain with varying degrees of rigour, but it has been a key mode of service delivery in a majority of services throughout the past two decades. Key areas of work for EPs continue to be around assessment, intervention, consultation, research and training as detailed in the Currie Report (Scottish Executive, 2002), with some EP services specialising in one area rather than another. EPs are diversifying in terms of their work bases, although most EPs still work within the public sector for local authorities. However, increasingly within local authorities, educational psychologists are trading with schools and other settings and are providing services, which were previously delivered free of charge, at a cost. This commercialisation of the role is resulting in tensions and ethical debates but is also opening up new opportunities for creative uses of psychology. The use of evidence-informed practice and increasing demand to support children and young people’s mental health and well-being are two current priority areas for practitioner educational psychologists. The future looks positive but it remains informative and fascinating to reflect on when and how the profession started. Arnold, C. (2013). Origins. In C. Arnold & J. Hardy (Eds.) British educational psychology: The first hundred years (pp.1–9). Leicester: British Psychological Society. Burden, R. (1978). Schools’ systems analysis: A project-centred approach. In B. Gillham (Ed.) Reconstructing educational psychology. London: Croom Helm. Burt, C. (1927). The young delinquent. London: University of London Press. Dessent, T. (1978). The historical development of school psychological services. In B. Gillham (Ed.) Reconstructing educational psychology. London: Croom Helm. Gillham, B. (1978). Reconstructing educational psychology. London: Croom Helm. Leadbetter, J. (2000). Patterns of service delivery in educational psychology services: Some implications for practice. Educational Psychology in Practice, 16(4), 449–460. Leadbetter, J. (2008). Activity theory and the professional practice of educational psychology in B. Kelly, L. Woolfson & J. Boyle (Eds.) (2008) Frameworks for practice in educational psychology. London: Jessica Kingsley. Leadbetter, J. (2011). Change and development in the professional practice of educational psychologists in the UK. In H. Daniels & M. Hedegaard (Eds.) Vygotsky and special needs education. London: Continuum. Leyden. G. (1978). The process of reconstruction. In B. Gillham (Ed.) Reconstructing educational psychology. London: Croom Helm. Reid, R.S. (1976). Editorial. AEP Journal, 4(1). Scottish Executive (2002). Review of provision of educational psychology services in Scotland: The Currie Report. Edinburgh. Topping, K.J. (1978). The role and function of the educational psychologist: The way forward? AEP Journal, 4(5), 20–29. Ward, J. (1904) On the definition of psychology. British Journal of Psychology, 1(1), 3–25.